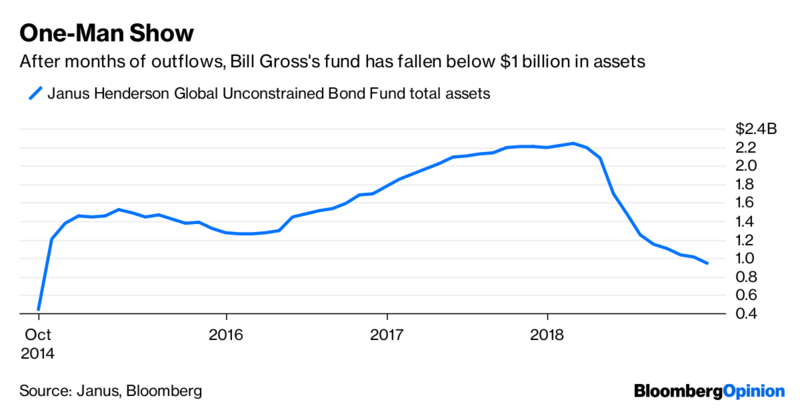 The former bond king can’t stop the withdrawals, with assets now below $1 billion. 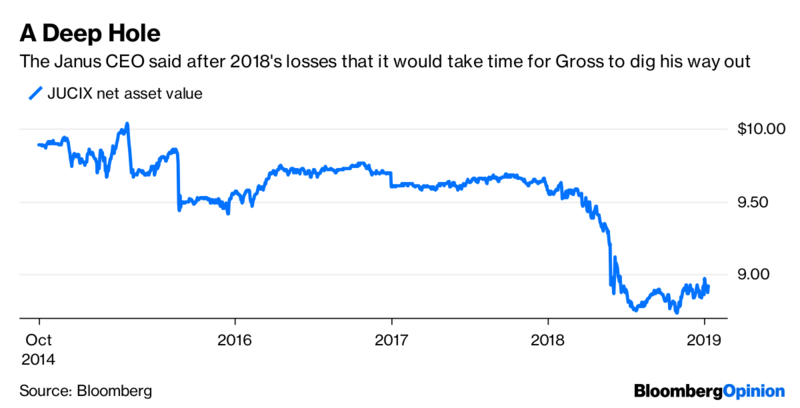 (Bloomberg Opinion) --When Janus Henderson Group Plc hired Bill Gross in 2014, it probably expected to quickly become a force in the active fixed-income mutual fund world. After all, Gross was named “Manager of the Decade” by Morningstar Inc. in 2010 for steering the Total Return Fund at Pacific Investment Management Co., which at one point amassed almost $300 billion of assets.